Please remember to add £75 damage/loss waiver which will be refunded once van has been checked on your departure. Van is checked before and after EVERY letting. Please remember prices include all bed linen, beds will be made up for you on arrival. Please feel free to ask any questions - we are more than happy to try to accomodate you. 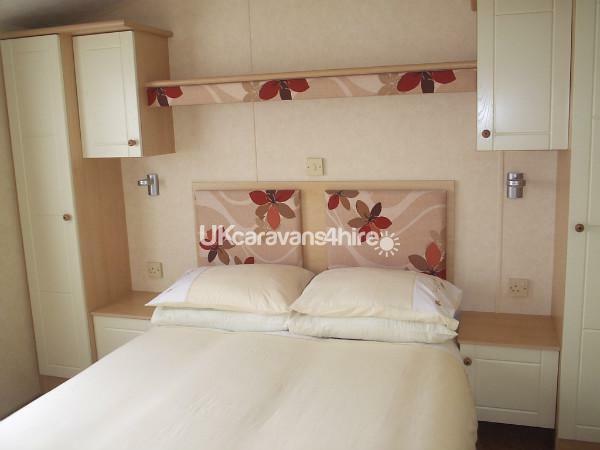 OUR CARAVAN: Our Modern, clean caravan is available for hire, this is privately owned, not owned by Haven. Mon-Fri (4 Nights) are available Some Non-Peak weeks, deduct 30% from full week prices, (Not July & August). Please feel free to text me on the above number with any questions. Funpasses are not included in the price, these can be purchased from reception on arrival, should you only wish to use the caravan and not the facilities on site then you will not need to purchase passes (approx. costs listed below). The choice is yours. Take the worry out of booking blind, No 'caravan allocated on arrival', No wondering 'what will it be like ??? ', What you see is the caravan you will get along with all the extras !!!. 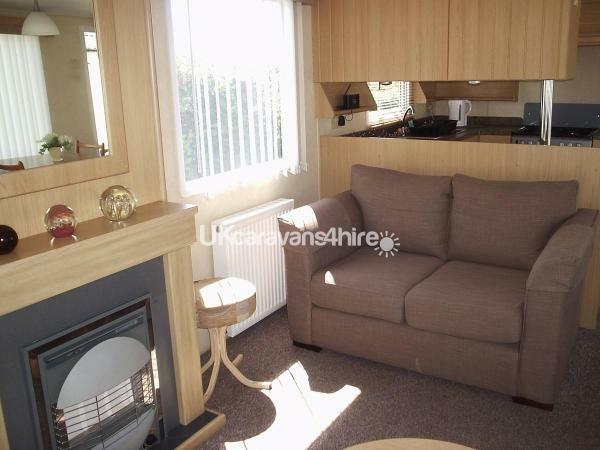 For price comparison, we feel this caravan falls between the 'Platinum & the Prestige' category in Havens ratings. 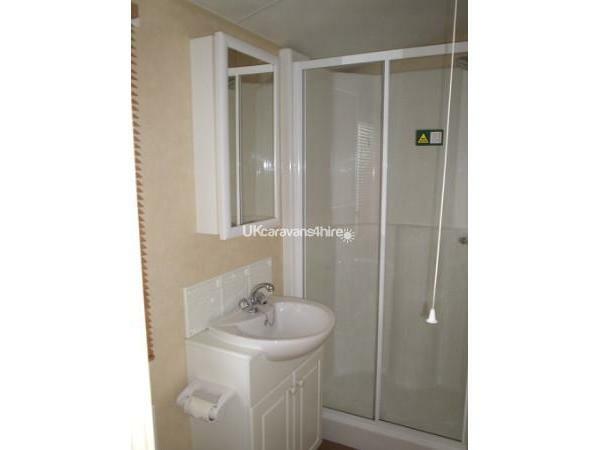 All facilities available in this caravan are specified in the description. There is sufficient room in the master bedroom for a 'blow up bed' or travel cot should you wish to bring your own. Both bedrooms benefit from blackout curtains, so no more - 'Can we go out and play Mummy' at 5.30 in the morning as soon as it gets light !!. Electricity and Gas is included in the booking price, no extra to pay. Key will be left at the caravan in a security combination safe, so your holiday starts as soon as you arrive - no queuing at reception wasting valuable time !!!. 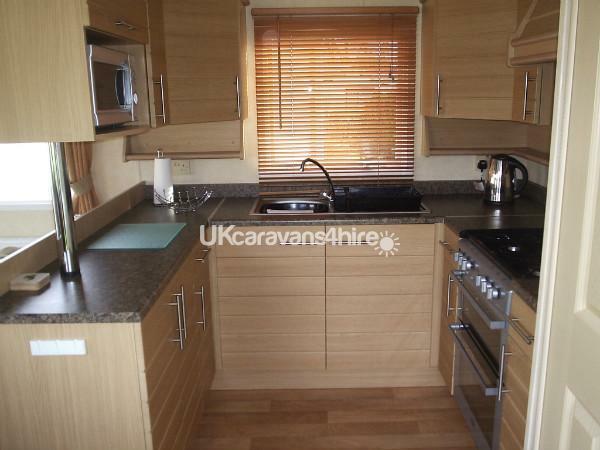 Caravan has full central heating and double glazing throughout and benefits from decking at the front of the van. 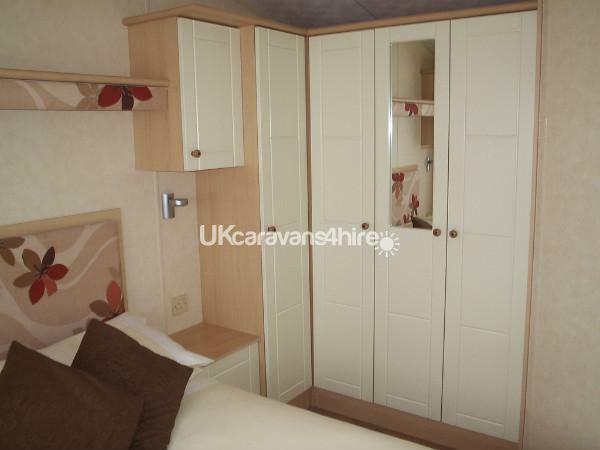 Each bedroom has its own storage/wardrobe space with wooden coat hangers supplied. Pillows, duvets and all bed linen is supplied, Beds will be made up for you on arrival - no linen to wash upon arriving back home !!!!. Washing Towels & Tea Towels are all you will need to bring. 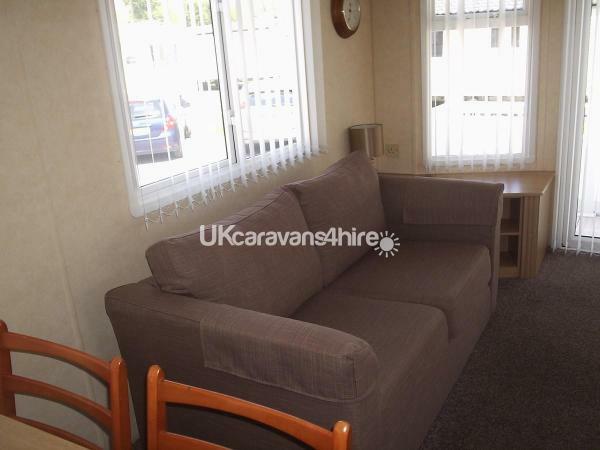 The caravan is fully equipped with a modern kitchen area, 4 seater table and chairs, a three seater and a two seater setee, full size gas cooker, fridge/freezer, microwave, washing machine - this alone will save you over £6 per wash !!! !, iron and ironing board, kettle, pots & pans and all the crockery and utensils you could possibly need !!. A Bench Table is supplied outside. The bathroom has a large shower with a power shower, and is entered either from the hallway or from the main bedroom. Child safety gate is also supplied. Caravan is situated on Riverside, at the end of the sports field, only a 5 minute walk to reception/bars and site entrance. Parking is available outside the van in dry weather or opposite the van, in tarmac bays when wet. 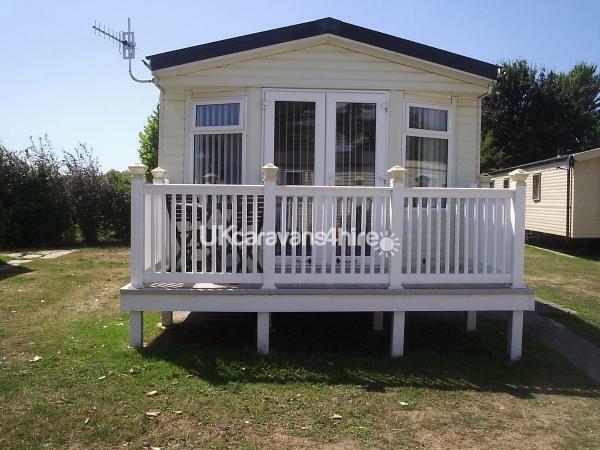 Once you return home you are more than welcome to leave a review on this caravan, on this website, for other future guests. Simply scroll to the bottom of this page and click on 'Submit your Review'. Funpasses are not included in the price. 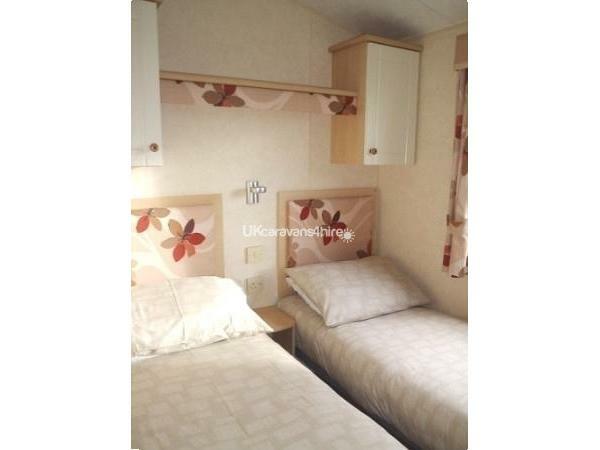 Price listed is for caravan only. 7 Nights- Adult £ 23.00 Child £ 11.00 (under 15). 3/4 Nights- Adult £19.00 Child £ 9.00 (under 15). 7 Nights- Adult £32.00 Child £16.00 (Under 15). 3/4 Nights- Adult £27.00 Child £ 13.00 (under 15). ARRIVAL/DEPARTURES - Arrival time is from 2pm, Departure time is before 10.30am. This allows cleaners time to clean between changeovers. FULL WEEK Friday-Friday is the only changeover days available for all weeks as listed. We are only now letting for full weeks or Monday-Friday breaks, shorter breaks can be taken but normal weekly rate would be charged. PAYMENT INFORMATION - A £75 Deposit is required on booking. This must be received within 7 days to confirm the booking. £25 will be returned if holiday is cancelled, £50 is non-refundable and is charged to cover costs involved in administration and re-advertising. Full payment of holiday cost must be received not less than 6 weeks before commencement of holiday, you will receive a reminder when payment is due. Your £75 deposit then becomes insurance payment to cover any loss/damage that may occur, this is returned to you once caravan has been checked on departure. Booking will be cancelled, and deposit forfeited, if payment is not cleared by payment due date. A payment request will be sent at approx. 7-8 weeks before holiday commencement together with all information needed regarding caravan keys, location etc. CANCELLATIONS - Any cancellation notice of less than 6 weeks will incur penalties. Information is listed on booking forms when booking. Holiday cancellation insurance is strongly recommended and can be arranged if required. All we ask is that you enjoy yourselves and treat our van with the respect that it deserves. Many Thanks. Lovely spacious caravan. Kept very clean and with all the comforts of home. We really enjoyed our stay especially sitting outside on the balcony. Many thanks to the owner Wayne who was very efficient and helpful in any communication. We would certainly use the caravan again. Thank you Wayne and Lorraine. We were very pleased with the caravan it was clean tidy & modern it was on a lovely pitch near everything. We will be hiring again in the future. we had a text thanking us for leaving the caravan clean & tidy thank you Wayne & Lorraine. 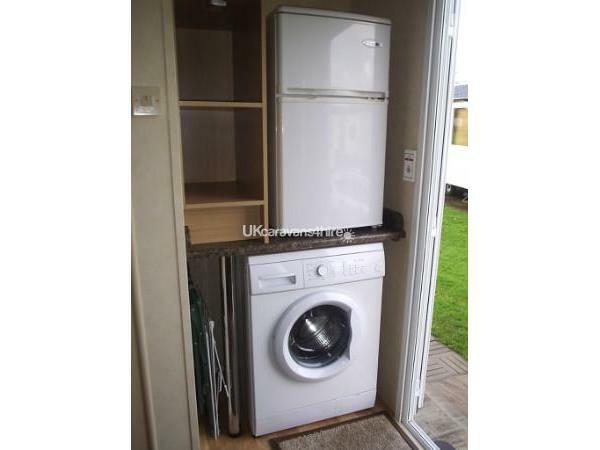 Absolutely fantastic from start to finish.. great communication from the owner... lovely feedback about how we kept it (which is always nice) the caravan has everything you need when on holiday.... having a washing machine was brilliant! It was well looked after.. we had no faults with the caravan. Our 2 boys loved it and were already in the process of booking for next year! I highly recommend the caravan to ANYONE. Thank you for a fantastic holiday! had a lovely weeks stay, the caravan was lovely and clean and had everything we needed , the washing machine was a great added bonus that we made use of! would definately book again and recommend to others! Absolutely lovely caravan. Arrived to a immaculately clean caravan with fresh bedroom and a spotless bathroom... just what you need after a long journey with 2 young children. Great to have a washing machine and all the other essentials are packed away in the cupboard (airer and pegs a bonus!). 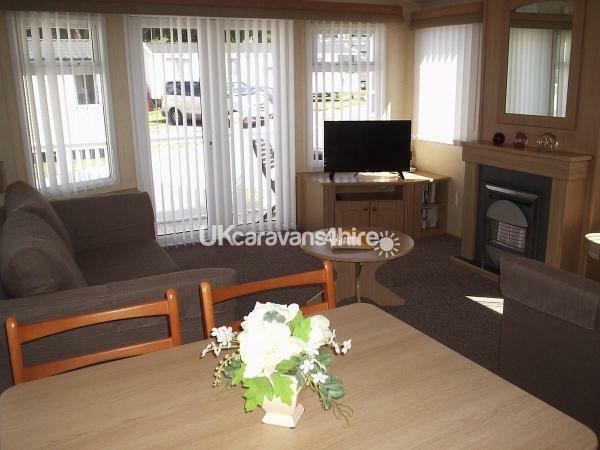 The caravan is in an ideal spot with the field and sports hut behind the caravan, and a short walk up the slight hill to the entertainment complex. The owners were lovely too! My son took me on this short holiday between my hospital treatments to cheer me up.Well it really did that,it's the most comfortable caravan I've ever stayed in. Having french doors to open and proper settees made a lot of difference.I highly recommend it. 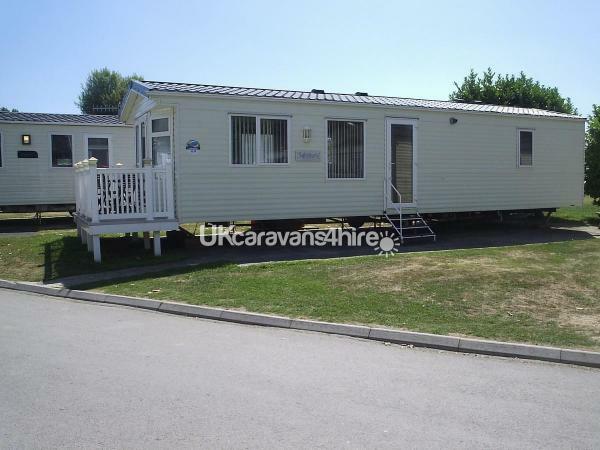 The caravan was extremely clean throughout and well positioned for the parks amenities, backing on to the playing fields. It was more than comfortable for our party size (2+1). Fun passes = Â£31.50 per adult and Â£16.25 per child for seven nights. Pricey but you cannot access the clubhouse etc. without them due to security checks. We found the Booking service to be very efficient and professional and the owners responded quickly to any queries. An email thanking us for the cleanliness of the caravan upon departure was much appreciated. We highly recommend this accommodation.